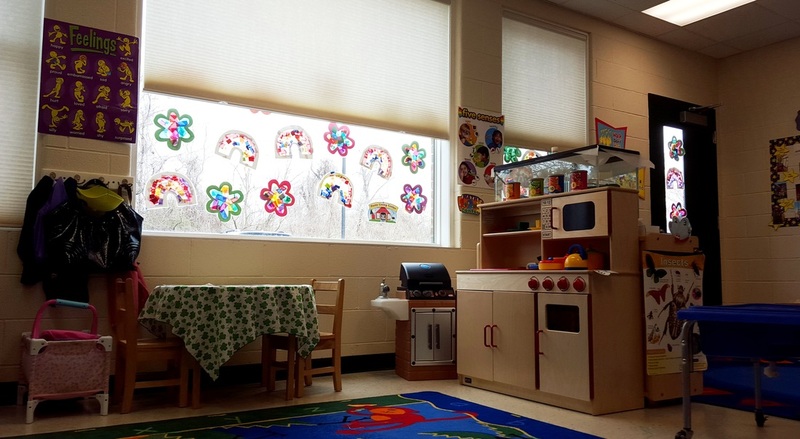 In addition to benefiting from abundant natural lighting through large, east-facing windows in each classroom, the lighting systems were designed to adjust to the amount of natural light available, dimming the already efficient LEDs when natural light is available. Additionally, all lights in the building use timers which turn the lights off when the room is unoccupied. All of the fixtures at St. Margaret's Day school are low flow fixtures, including faucets on timers in the restrooms. Additionally, St. Margaret's Day School uses water barrels on all buildings in order to collect rain water for use in water native shrubs planted on the grounds. St. Margaret's Church and St. Margaret's Day School have made a powerful,lasting commitment to sustainable development and continuing environmental stewardship through a green energy contract. 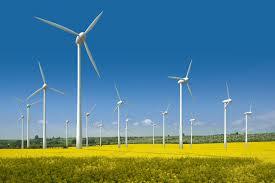 The St. Margaret's Church campus and school building are under contract to use 100% wind power energy offsets. When the contract concludes in 2019, the Church Vestry will most likely renew the green energy contract. The contract is not releasable due to a confidentiality clause, but we would be happy to provide additional details upon request. We have done our research and have made a significant change to our cleaning processes. For most cleaning applications, SMDS uses homemade cleaners from natural ingredients, such as vinegar, Castile soap, and tea tree oil. We have eliminated paper waste for routine cleaning, reusing durable and washable products in place of disposable paper towels. For cleaning applications where these aren't sufficient, SMDS purchases Green Seal Certified cleaners. Our hired cleaning service uses only Green Seal certified cleaning products, noted in the contract below. Most of the communication among teachers and staff is done electronically. Each classroom uses Macbook Air computers for lesson plans and activity logs. ​We now use an app called Kaymbu to communicate with the families. All pictures, weekly newsletters, calendars, special events, and weekly progress reports are provided to the families through this app. Correspondence between the director and the student families is done primarily by e-mail, and our after-care tracking system was recently converted from paper cards to electronic format as well. Our class parents use Sign Up Genius to organize parties and events in order to eliminate paper waste. SMDS uses a strictly green process (requiring no EPA controls) for management and control of insects. We believe in teaching our students by setting a great example. We love learning about insects and their benefits, and have the ability to demonstrate that we can control pests in an environmentally responsible way.